She wasn’t supposed to fall for him. Erica’s time away from her pack was just supposed to be fun. Then she met Hudson. Instead of the no-strings attached fling, she ended up falling for him. But they’d promised each other that they’d keep things casual. Instead of risking her heart, she ran. Now she’s pregnant—and he’s determined to claim her. But the last thing she wants is to be an obligation to him. Erica could never be a duty to Hudson, but for some reason that’s what she thinks she is. He tried to go slow, to give her space—so he wouldn’t scare her off. Now he realizes that was a mistake. It’s time for this wolf to claim his mate. Unfortunately a neighboring pack is stirring up trouble for his pack, and his she-wolf is determined to keep walls between them. Walls he intends to bring down once and for all. Sapphire is cursed. Every relationship she’s ever been in has ended poorly. So she’s sworn off relationships and is happy with her life. Until Eli comes along—a one-night stand that turned into more. When things got too intense, she did what she always did. She ran. This time Eli isn’t letting Sapphire go without a fight. When her friend needs help escaping an abusive situation, he steps up, no questions asked. It doesn’t matter that Sapphire won’t tell him why she’s holding back from him. He’s a jaguar shifter and cats are very patient—he’ll wait for his mate to come around. 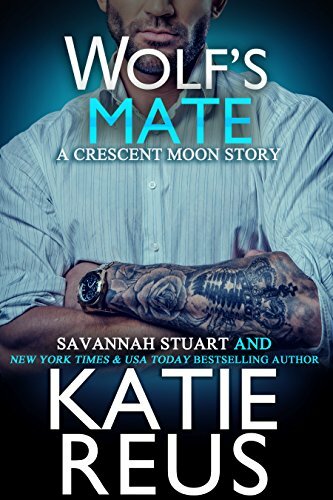 But before he can claim her once and for all, they’ll have to deal with an angry bunch of shifters who are out for blood.